This book describes the chemical principles of the major electroless processes and the practical applications of these techniques in the industry. 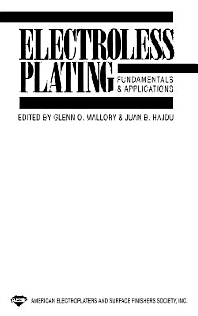 Thanks to the coordinated efforts of 26 individual authors - this book fills the void which has existed for a complete reference on electroless deposition. The electroplating and surface finishing industries.